Ideal Gift! Perfect Lighting Decoration For Living Room, Studies, Dormitories, Galleries and etc. Also A Perfect Idea For Sweet Surprise For Your Family. -Each photo-clip contains an LED that emits bright light. -With warm-white light, it looks very beautiful in the night. 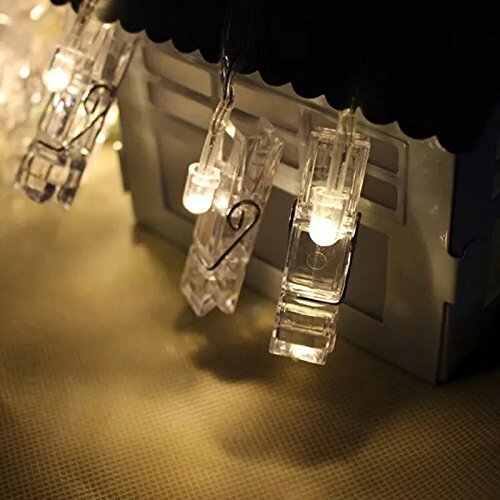 -Light-Up your room and add your own personal touch with this set of Led Photo Clip String Lights. -Mini and artistic appearance, it is easy to carry. -Low power consumption. Safe, reliable and environmentally-friendly. -It can be put or hung on walls, windows, doors, floors, ceilings, grasses, Christmas trees etc. No matter indoor or outdoor. -Perfect decoration for Valentine's Day, Christmas, other holidays, party, wedding, etc. 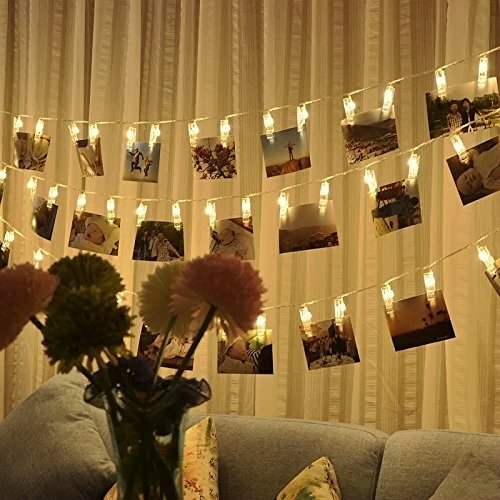 Now, enjoy your life with our String Lights! 30 clear photo-clips. Each clip contains an LED that emits warm white light. Perfect for decoration indoor or outdoor. Total length is 10 feet/3 meter. Clips are spaced 10 centimeters/4 inches apart, enough space for most artworks and photos. The light string is powered by a USB cable,various power-on mode,can be applied to: mobile power supply, power plug and computer USB interface,will be more convenient than other product. Photos + Lights. 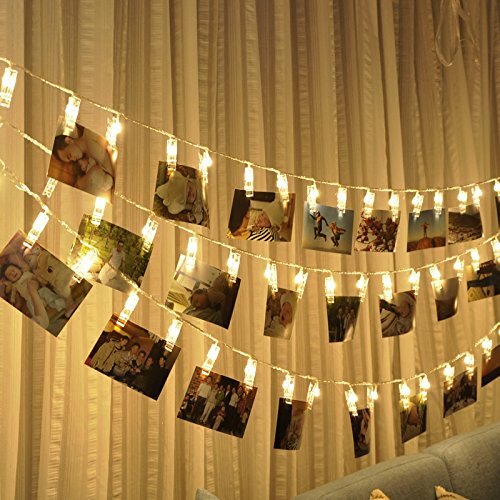 The coolest thing for room, new functional string lights for holiday, courtship. 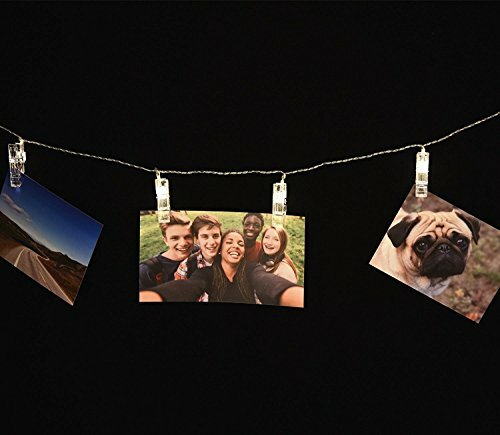 Not just a string lights, also an ideal showcase for photos, artworks, memos and more. 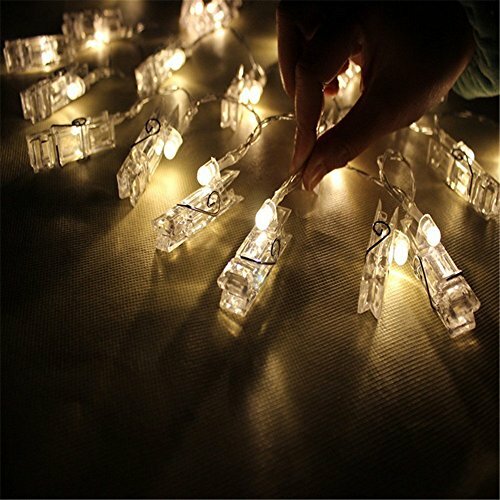 Ideal Gift - Perfect lighting decoration for living room, studies, dormitories, galleries and etc.